For example, how could your diet be contributing to the pain? Could stress or lifestyle be a factor? As part of this exploration, we address both the mental and physical aspects of a person’s health. 1. Are you just not feeling your best, and nobody can tell you why? Maybe you are feeling run down, and more tired than usual, or you’ve been gaining weight and can’t seem to lose it. Maybe you keep getting sick and it’s taking you a long time to recover. These are symptoms that people tend to live with and eventually believe are normal. A Naturopath will work with you to help tie your symptoms together and find a root cause. 2. Do you have a chronic condition and have you been told there is no treatment available? As NDs, we often see patients after they have been struggling with a health issue for a long time. Common examples include irritable bowel syndrome, allergies, eczema, psoriasis, acne, depression, anxiety, chronic fatigue syndrome, fibromyalgia and autoimmune diseases. Although there may be no cure, NDs can help patients to manage chronic conditions by teaching them how to balance the immune system, decrease inflammation, use specific herbal treatments and follow prescribed therapeutic diets. 3. Are you are experiencing side effects from medications? Pharmaceutical medications can be very effective for managing certain conditions, but often come with side effects. Your ND can tell you which nutrients or vitamins are being depleted by your medication, and give you safe options for managing side effects. In some cases, your ND can even help you replace medication with effective natural alternatives. 4. Are you are in pain? A common reason for chronic medication use is chronic pain. However, regular use of pain medication has been linked to liver and digestive problems. Chronic pain, especially joint pain, can be caused by a number of things including certain foods you are eating, being overweight, or generalized inflammation in the body. 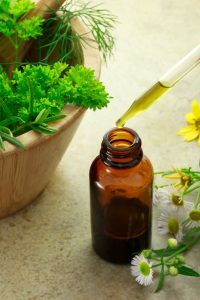 Naturopathic doctors can work to identify the cause of your pain and help to minimize it through the use of acupuncture, diet, herbs and other holistic treatment options. 5. Do you want to learn more about preventative medicine for you and your family? Symptoms – such as pain and fatigue – are your body’s way of communicating that certain systems within your body need some attention. An ND can help get you back to optimal health and symptom-free living. By managing symptoms when they first occur, optimizing your diet, maintaining a healthy weight, and living a healthier lifestyle, you can prevent a variety of health conditions. 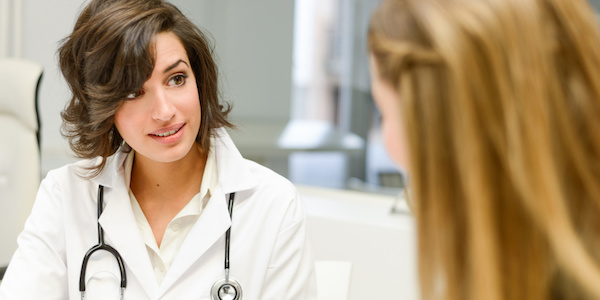 A good Naturopathic doctor can show you where to start. Dr. Joanna Rosenfeld, ND, believes that simple changes can often have the biggest impact, and has special interest and experience in addressing fertility, hormonal imbalance, chronic disease and weight loss. Dr. Rosenfeld is a Naturopathic Doctor at Qi Integrated Health, Vancouver’s Centre for Modern Healing, which takes a multidisciplinary approach to healing through an integrated service offering including Acupuncture, Chiropractic Care, Registered Massage Therapy, Naturopathy, and Traditional Chinese Medicine.